Unless you have been living under a rock for the past couple of months, you will know that the 70's has hit 2015 with a bang. And I could not be happier. I love it when retro styles come back in fashion; its kind of like guilt free dress up. What's more fun than rocking some suede fringing and denim flares and not feeling like you've gotten lost on your way to a fancy dress party? Here are some of my tips on nailing that 70's styling. Flares The bigger the better, and preferably blue denim to really pull off that Charlie's Angels look. Whether they're touching the floor or ankle grazer, flares are THE Jean of SS15. And these J Brand jeans are perfect. Theres nothing better than a pair of good quality Jeans that fit well, and J Brand are exactly that. I always feel you can tell a good pair of jeans from the cheaper brands, and a pair like these are definitely worth purchasing. Fur You may think fur has been and gone in AW14, but I think it's going to carry us straight through to summer, with some funky colour updates. Shrimps is my new favourite brand find, and after seeing Alexa Chung in THAT perfect leopard jacket during London Fashion Week, I will definitely be keeping an eye on these fur experts. 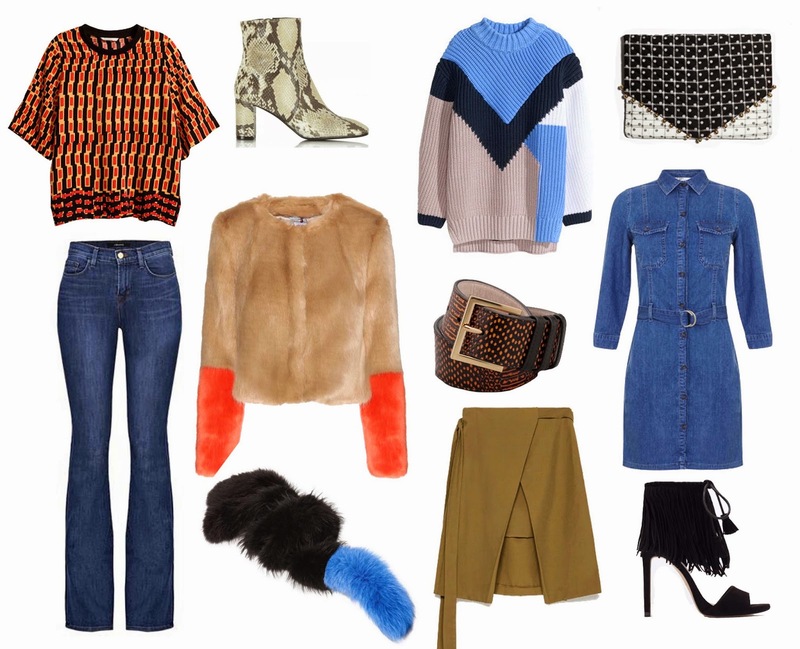 Fringing From shoes to jackets, everything is fringed at the moment. That boho vibe is perfect for summer, and more is definitely more with fringing. Try matching some tassel heels with a fringed bag, or a fringed skirt. If the thought of fringing is a little too out there for you, a tassel style necklace or a little bag charm will add just a hint of hippie to your outfit. Olivia Laura - 26 year old Fashion and Style enthusiast based in the North West. Have Blog's Had Their Day? All Images and Content © : Olivia Turner (unless otherwise stated).